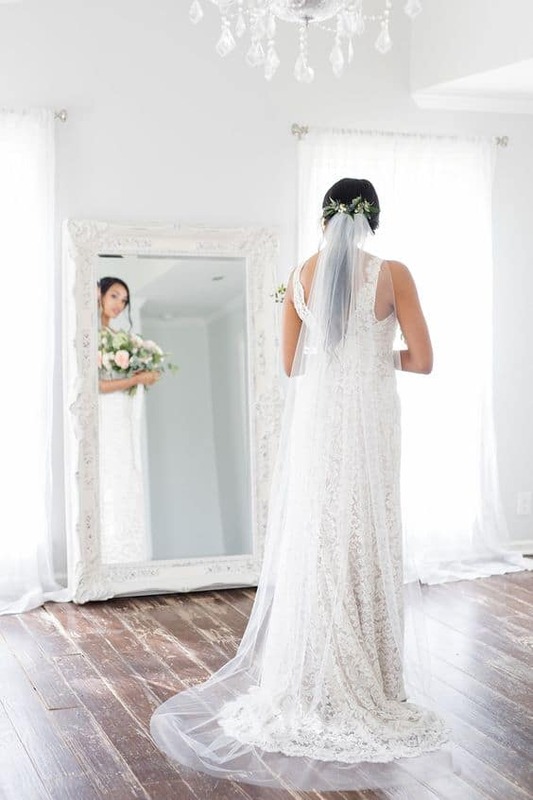 Choosing your wedding veil ought to receive as much attention as choosing your dress! Why? Because your wedding day is the one time you will wear one… Read on to learn about these fabulous bridal headpieces! 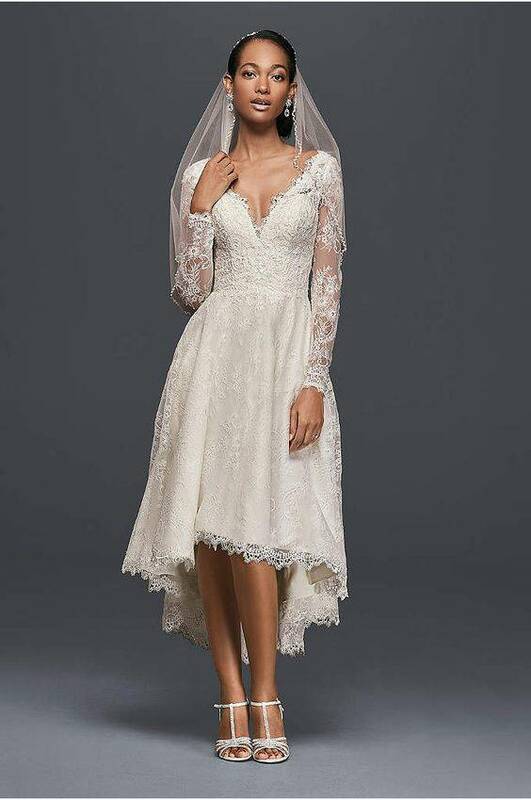 With a little information and guidance, picking your veil will be easy and fun! Finding one that flatters you in your dress is important. Don’t let it become an afterthought. You’ll want something that frames how gorgeous you are on your Big Day! These delicate headpieces are classically stunning and give the wearer a kind of incomparable, vintage mystique! A small comb or headband fastens the decorated netting in place as you stride down the aisle resembling a modern princess, adorned and bright-eyed. 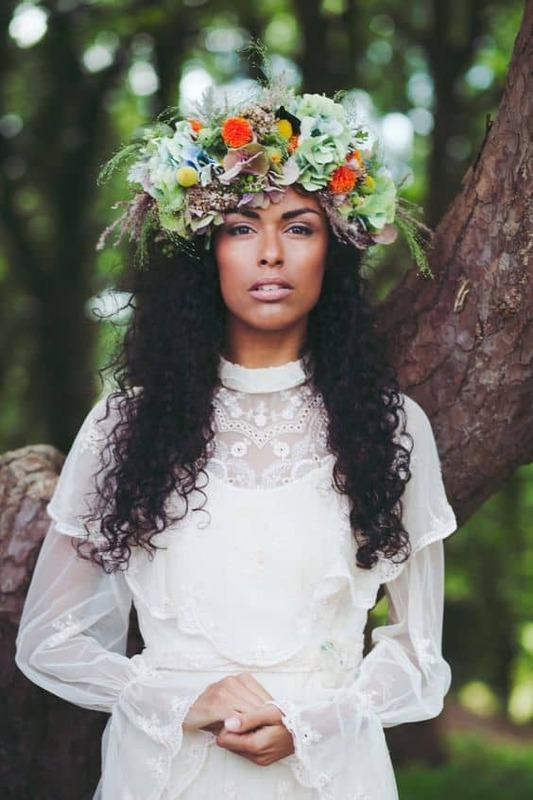 Bridal fascinators can be a simple or extravagant addition to your ensemble, as they can be ornately decorated with flowers, feathers, ribbons, pearls and lace. 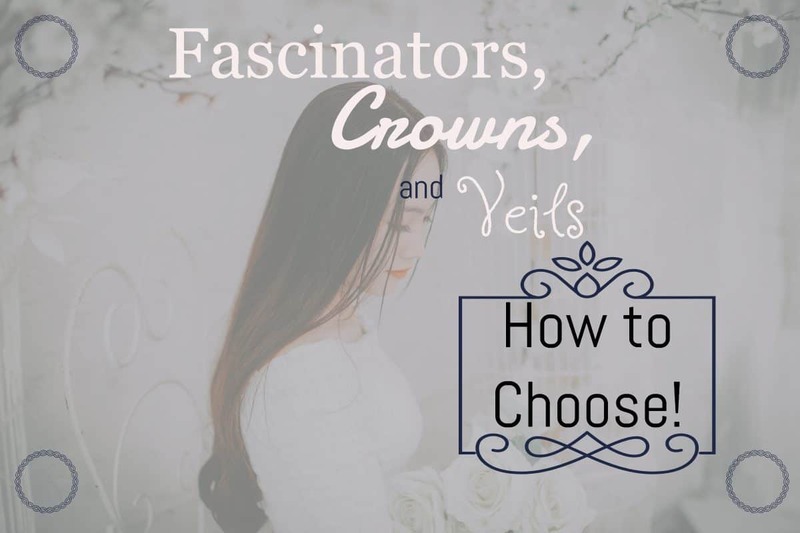 Try one on as you’re dress shopping, and you may find that an elegantly embellished birdcage fascinator complements your gown more adequately than a veil. These pieces are worn at an angle, perching lightly on the hair and evoking curiosity because of their whimsical, light design. Though they’re considered unconventional, they are rising in popularity, which means that creators are coming up with all sorts of artistic decorative fascinators with couture in mind. Choosing to go with a piece like this means that your dress and headpiece won’t be competing for attention. 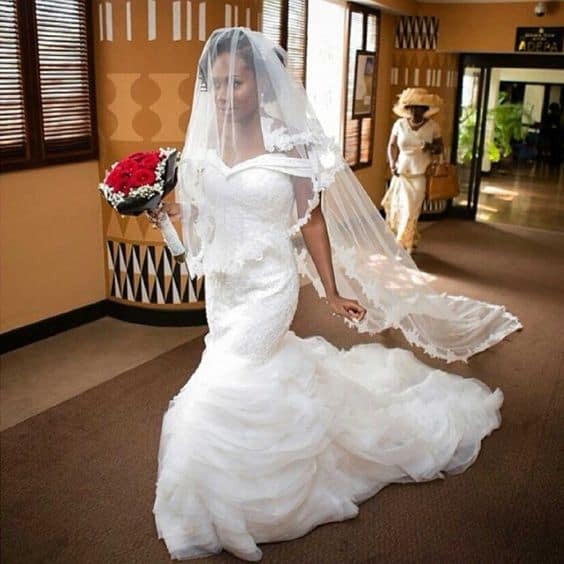 If you’re in love with your dress, especially if it’s on the shorter side, and prefer for your silhouette to be the focal point on the glorious day, a fascinator will balance your look and still make an expressive statement. The history of bridal crowns go wayyyyyy back. Long ago, they were made with precious metals, jewels, glass and elements from nature like pearls or branches and fruits. Today, those themes certainly carry over in free-spirited, earthy brides and in those ladies who are feeling another kind of regal! There are several kinds of veils, and they’re all breath-taking. However, they all probably do not match your wedding style. 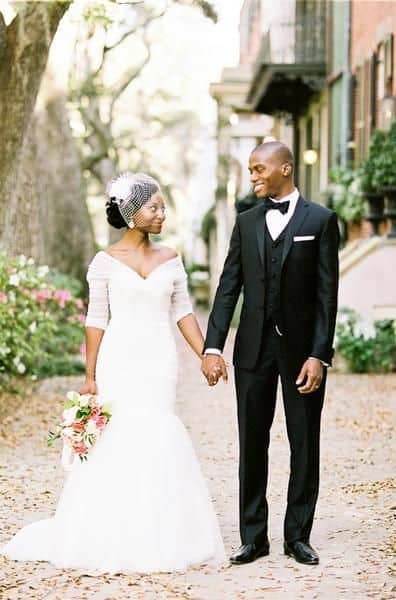 Shoulder, Fingertip and Elbow Length Veil — You probably figured it out! 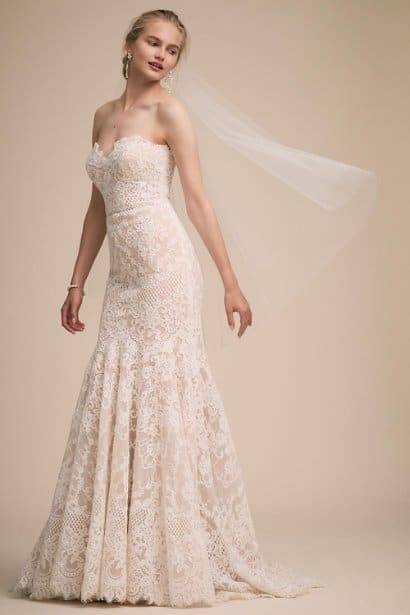 These reach the shoulders, fingertips or elbows and are a lovely choice with a dresses featuring a low or embellished back, ball gowns and A- Line, respectively. Mantilla Veil — Popular in Spanish couture, these striking veils are usually circular in shape and made with lace and tulle, or silk. Traditionally, A large comb, called a peineta, is sometimes used to hold up the mantilla, giving extra height to the wearer. Tiered Veil — Varying layers of tulle (2- 3) with the top layer worn as the blusher (covers your lovely face until the husband may kiss his bride). If there is a 3rd layer, that is often removable. 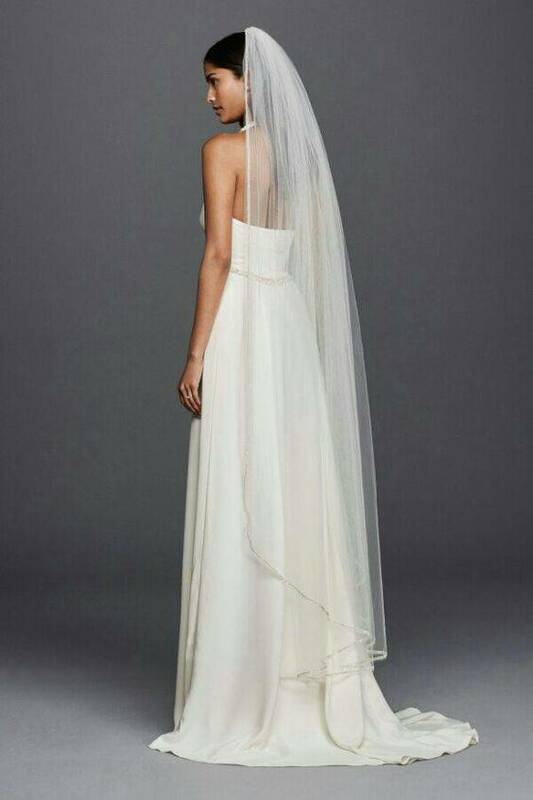 Ballet Veil — You won’t trip over this veil! It does not sweep the floor and falls to tea length (between the ankles and knees). Chapel Veil: Distinctive and timeless, chapel veils reach the floor and represent what we most associate with a wedding veil. Iconic! Magnificent! Cathedral Veil: Its length is spectacular! Greater than the train of your wedding dress… highly ceremonial and grand! 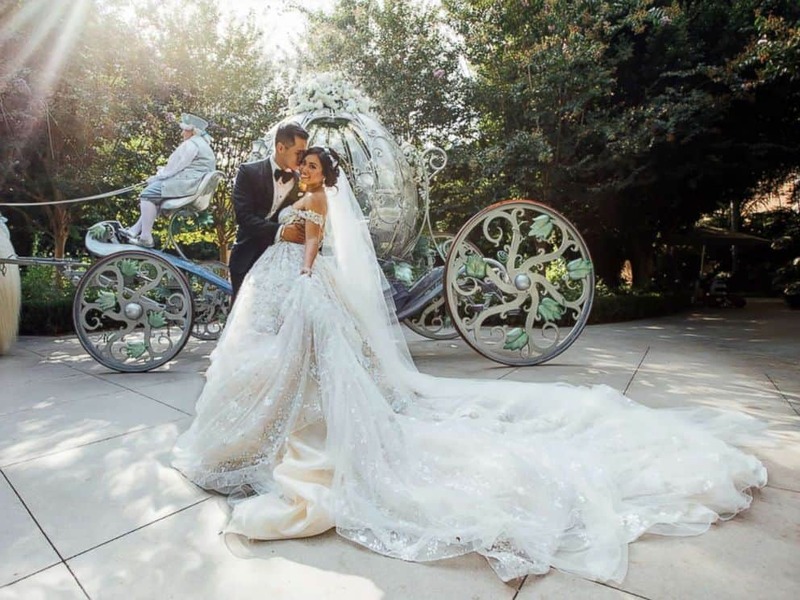 A MUST if you’ve decided on a fairy-tale wedding! 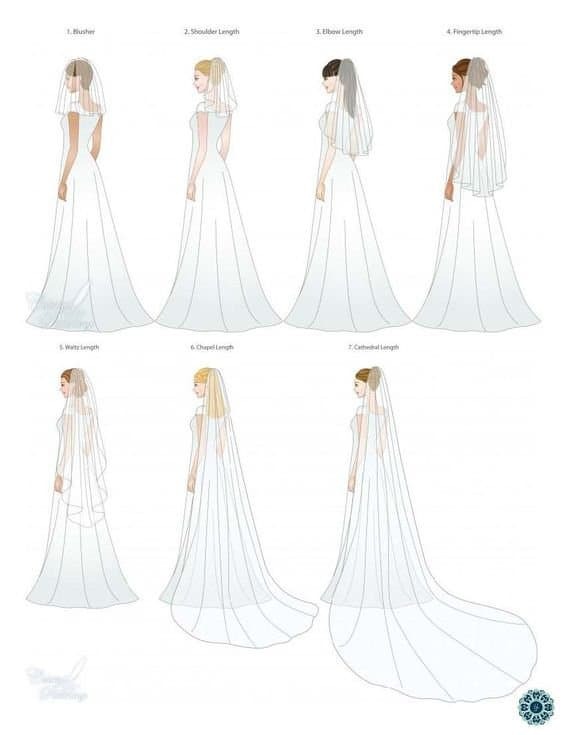 Hopefully, you have narrowed down the possibilities for the veil you’re looking for! Final Tip: Remember that crystals are more photogenic than rhinestones (which can sometimes look like black dots when light reflects off them). 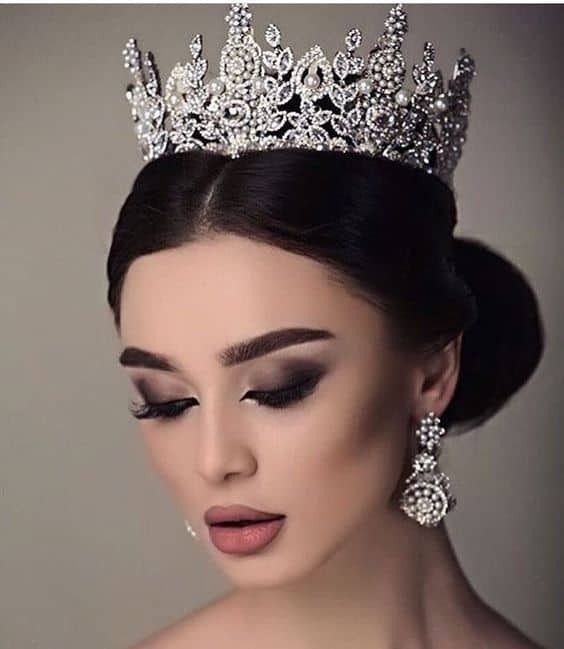 May you feel like the Queen you are, Bride! Happy Wedding!